Instantly recognizable by its diminutive dimensions and cheerful boxy shape, the MINI is an icon of British automotive ingenuity. The modern MINI offerings include variations on the theme of the Cooper, including a coupe, a roadster, a convertible, a clubman and even a four-door Countryman. 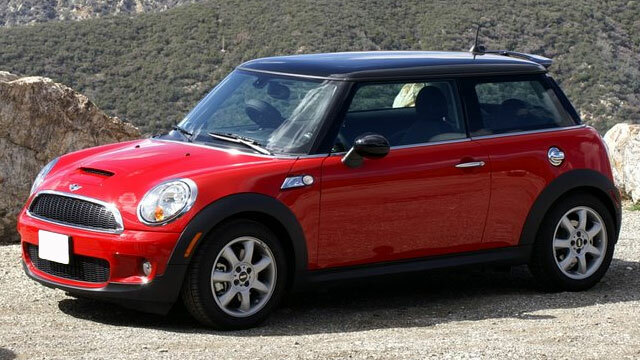 No matter which fun model of the MINI you drive, your MINI is a statement of style and efficiency. To keep your MINI in top notch condition, you need top-notch service like Transmasters Auto Care! Thanks to our highly talented team and years of experience, Transmasters Auto Care offers the best repair and service in the area. Give us a call or stop by today, and we will get to work right away for you! Whether your MINI needs routine maintenance or major repairs, you can depend on our ASE-certified technicians to provide high-quality, dealership-level service. Put our experience and expertise to the test.